The Doctoral Program in Chemistry is an international program involving the Universities of Minho, Trás-os-Montes e Alto Douro, Santiago de Compostela and Vigo. The program was selected for financing by Norte 2020 with 4 PhD grants available. 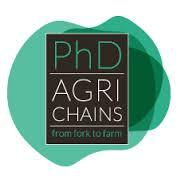 The PhD program Agricultural Production Chains – From Fork to Farm (AgriChains) is financed by the FCT and covers issues related to the Agricultural production chains.